We are delighted to host the AT&T Temple Edutech Hackathon on April 5th and 6th at Alter Hall to anyone interested in creating mobile and web applications that can help impact Philadelphia’s education community. 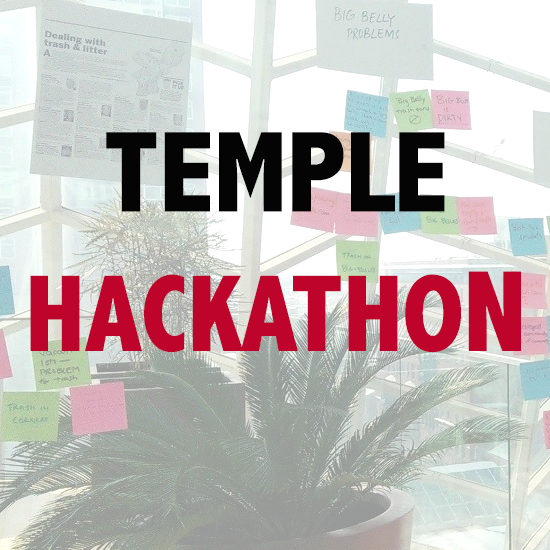 Anyone at Temple University can participate in this first Hackathon at Temple University. AT&T, Temple University’s Urban Apps & Maps, Jarvus Innovations, and Technically Philly are keeping the momentum moving after TechCamp Education: Philadelphia, where nearly 20 projects were started that could impact students, educators and parents in Philadelphia. We want the Temple Community to join the rest of the Philadelphia civic hacking community to solve REAL education problems identified by the School District and Philadelphia Housing Authority. The Hackathon is generously supported by AT&T’s Developer Program team, which organizes hackathons across the U.S. They offer prizes, experience, support and more to help you learn about new technologies and crank out innovative apps in just 24 hours. The event is also supported by the Institute of Business and Information Technology at Temple University who provides food and drink on Saturday. This supercharged event begins Friday night with lightning talks where technology sponsors and educators introduce developers to exciting new platforms or tools to build smarter and faster. By asking the question “what if…” attendees are able to explore the fringes of technology and the physical world to depths that you and I have only dreamed about. Bring a friend as you travel down this path of app creation and work collectively to turn your concepts into reality. Since you will be working in a team, ANY Temple Students, developer or not, will be able to contribute to this exciting event. Furthermore, the event will provide an incredible opportunity to build a network with leading app developers and designers in the region. You Bring: Your laptop, skills & ideas. Come with a collaborative, team focused mindset and/or team up in advance on Twitter/Facebook/Google+ via the #atthack hashtag. Whether you are a backend person and code in Ruby/PHP/.NET or are a designer and only work with an Illustrator, you are invited to attend this event. Every group needs a good balance of talent and your development skills are needed! 06PM – Friday Evening – Kickoff event with drinks, networking and dinner! 10AM – Saturday Morning – The fun continues with an all-day hackathon. Work with the teams that you formed on Friday night to produce the app spec’d out the night before. Senseis will be available throughout the entire event to help you code up your solution. App submissions will be accepted throughout the day with a deadline of 6PM. April 8 – Wednesday – at Devnuts: Teams will continue to polish their projects for the Philly Tech Week demo presentation, where prizes will be awarded. April 15 – Wednesday – at Devnuts: Teams will continue to polish their projects for the Philly Tech Week demo presentation, where prizes will be awarded. 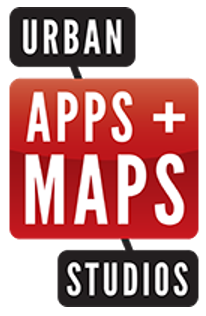 April 22 – Monday – at Temple University: Urban Apps & Maps Studios Open House. All Temple Teams will present their work and Temple Award will be awarded to the best Temple Student projects. April 23 – Tuesday – Switch Philly Demo Presentation night: During Philly Tech Week 2013 presented by AT&T, the hard work spent during the months of March and April will be rewarded with a demo presentation event where prizes will be awarded to the best education projects.